Download BIAS AMP 2 for iPhone free via AppsHawk. 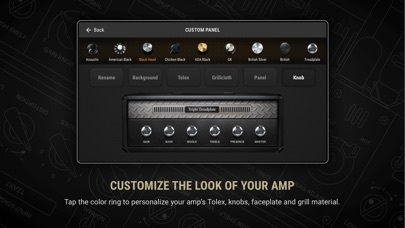 BIAS AMP 2 Mobile is a professional virtual amp designer that offers replications of 36 of the best vintage, modern and boutique amps in rock. The app gives you the power to create new sounds by designing your own dream amplifier, letting you swap out tubes, preamps, power amps, transformers, tone stacks, cab, and microphones, all via a powerful and intuitive interface designed for your iPhone. Whether youâ€™re a classic rocker, metalhead, jazz player, bluesman or singer-songwriter - and whether you understand how amplifier electronics work or not - youâ€™ll be dialing in killer and exclusive tones in a heartbeat. 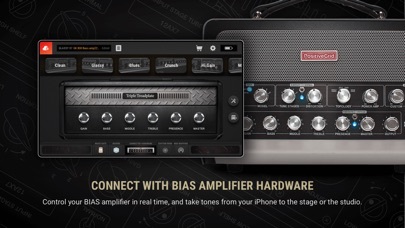 BIAS AMP 2 Mobile adds a host of new features, including a powerful new user interface, new preamp and power amp tubes, tone stacks, Blues and Bass amp packs, new Dynamic Tone Control, new speaker cabinet module with multi-mic capability and open/closed back cabinet emulation and much more. In addition to all of these amazing new features, weâ€™ve also partnered with legendary Celestion to create brand new custom multi-mic speaker cabs using their famed impulse responses! 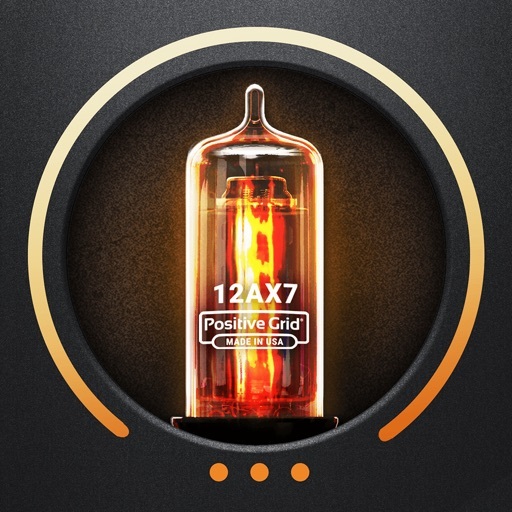 BIAS AMP 2 Mobile seamlessly integrates with Positive Gridâ€™s ToneCloudÂ®, which is far more than a simple storage tank for your own custom tones - itâ€™s an active community where thousands of guitarists upload, share and discuss tones. 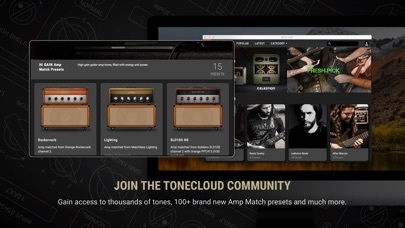 The ToneCloudÂ® gives you access to thousands of custom amps created by artists, recording studios and guitarists like you, so youâ€™ll never lack for sonic inspiration. 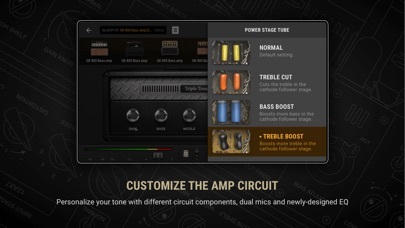 To take your tones to the next level, there are 9 full-featured reverbs in BIAS AMP 2 Mobile. These arenâ€™t just simple two-knob reverbs either - they range from lush halls and chambers to intimate rooms, and each reverb has control of decay time, mix level, high and low cut filters, damping and dwell. 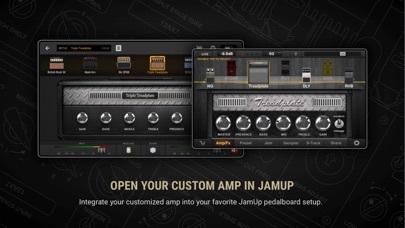 BIAS AMP 2 Mobile integrates seamlessly with Positive Grid's JamUp guitar multi-effects app, expanding BIAS AMP 2 Mobile into a powerful and completely unified professional guitar system for live use, recording and jamming. Both JamUp and JamUp Pro include effects processors, Jam player, 8-track recorder and phrase sampler, tuner and metronome, effectively turning BIAS AMP 2 Mobile into a recording studio and top-of-the-line practice utility. 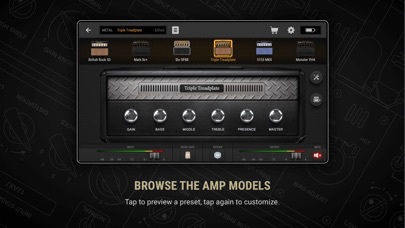 BIAS AMP 2 Mobile also works with GarageBand and other audio apps using iOSâ€™s Inter-App Audio and Audiobus. Whether youâ€™re recording, writing songs or honing your chopsâ€”at home or on the roadâ€”BIAS products place unequaled tone at your fingertips. â€¢ 36 amp models included with the introductory release, with thousands more available via the ToneCloudÂ®.